Sqwincher's Fast Pack Liquid Concentrate is the most popular of the Sqwincher family of electrolyte drinks. It is so convenient and fast to dispense when in the need of a quick burst of electrolytes. 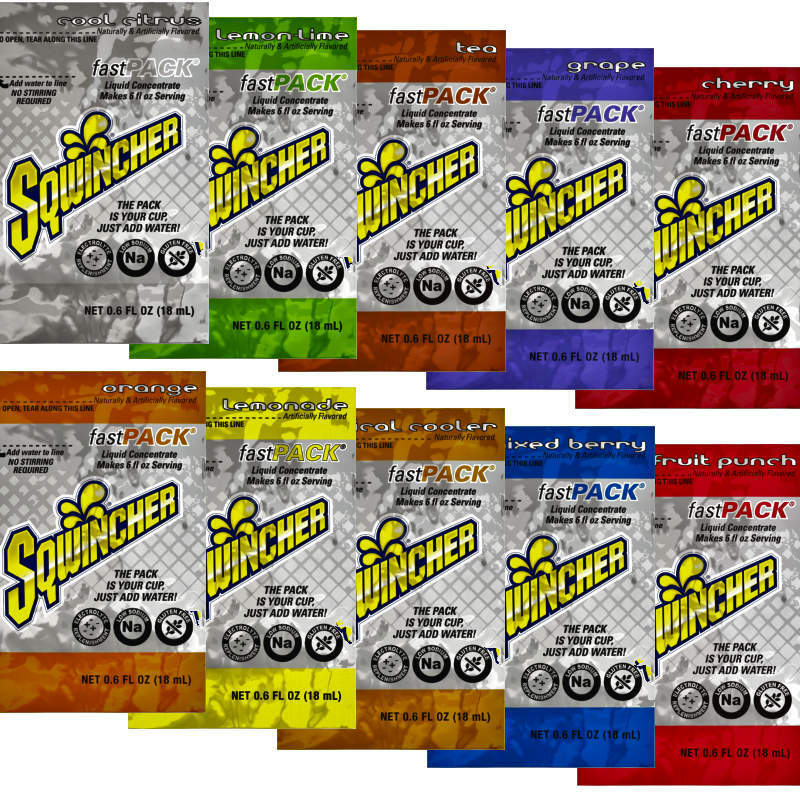 Sqwincher Fast Pack package is actually your cup for a handy 6 oz single serving. All you do is add water to the liquid concentrate packet and drink. It is perfect for sports and industry when time is critical and space is an issue. Fast Packs come in ten delicious flavors and 200 packets to a case. Sqwincher contains the potassium and Vitamin C needed to prevent dehydration and when the body has been depleted of these necessary nutrients.